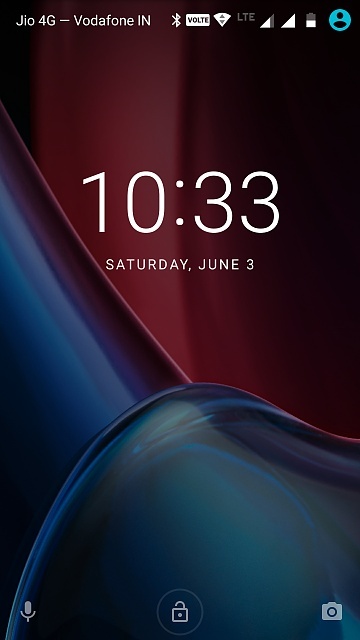 I have set up a pattern screen lock on my moto g. Although I have it set for automatic lock the screen lock asking for the security pattern is not working. It did work on set up but not since. Is there an issue with this? Is there an alternative lock I can use? I'm not sure if I understand your problem. Tell me a couple of things and I'll try to help you. Have you recently updated to lollipop? In settings - security, what do you have for automatic lock time and power button action? Have you set any option in the Smart lock section? Are you locked out your phone or just a swipe is enough to unlock it? Just updated to lollypop but never used security before. From screen off I press on button and just swipe up. So no request for pin. So at the moment I have a pin security and it does not work, so phone is not secure. Strange. And after swiping up aren't you prompted to enter the pin? Full access to your phone? Go to settings - security and tap on smart lock. Are you asked to enter your pin? You should. You could try to change your security access. Change to pattern, define one, confirm and exit. Lock your phone. If it doesn't ask for your pattern after swiping up then power your phone completely off wait a little bit and power on. Try again. Sorted Javier. There was a conflict between the screen lock option in the windows 8 launcher I use. Welcome! Glad you managed to fix it. Hi Javier.. I'm also facing the same problem with my cellphone.. it's not safe at all..
Hi, welcome to the forums. Could you give us more details? Have you already tried the different solutions posted in this thread? Sometimes my phone won't lock automatically if left idle. I have adjusted it to 30 secs. It should sleep and lock accordingly. But it does not and the screen remains idle and on. I tried restarting my phone, the problem goes away but after some time I experience the same problem. Please help. Thank-you for listening. Does the problem persist in Safe Mode? Welcome to the forums. Have you already tried the different solutions posted in this thread? Smart lock options, safe mode ...? Also, go to settings - security - device administrators and see what apps are checked there. Hello Everyone, Even I had the same issue with my G4 plus. To resolve it go to settings-Security-Trust Agents-Disable smart lock (google). Now the screen should be locked with the pattern or pin whatever lock options you have chosen. Hi, i am also facing the phone lock issue, so i have put security pin lock, my phone doesn't lock sometimes so it doesn't ask for pin when i swipe to unlock. It shows an (un lock symbol ,pic attached) when this issue(no pin when swipe to unlock) happens, and when i press that symbol then it locks up my phone, which setting is it? I was also facing the same problem in my g5 plus.In my mob , after the display gets off (sleep duration 30 secs) and then when i press the side home button, the mobile diaplay gets on to home screen without even asking for password. Instead i have set pattern in my phone security setting. My mobile was not safe at all. I had 2 keep my mob switch off 4 protection from other people. Well i had got the solution, everyone facing this problem might have made their smart lock on. So so go to SECURITY> TRUST AGENTS > SMART LOCK and disable it. It will work perhaps. Guys while trying all the said above steps my phone(Moto G4 Plus) still had issues after sleep and was not locking itself. Then after many tries, figured a thing, My phone Security Screen Lock was a PIN and this option doesn't have automatic Screen Lock timer. Changed it to a pattern and that worked. How can I get my touch screen working again on my Moto G? As soon as my battery warning appears, my screen pops 2 main menu, why? Why won't my wifi turn on (Moto G)?